By Kablit Sam – Youth Agenda, Kenya. Turkana County has always been considered the most hunger stricken regions of our country. References have always been made that Turkana people have always opted to eating dog and cat meat. Whenever Hunger is declared a national disaster, Turkana tops the charts; whenever African Union Leaders meet in Addis Ababa to discuss food security in Sub- Saharan region, Northern Kenya never misses the chance to be in the topic. And whenever topical issues on hunger are discussed on papers, you shall always see Turkana People photos being displayed on papers o explain how severe hunger is. However full materialization, in terms of sustainability and fair distribution of its harvests, of this noble project may never be seen if proper management is not put in place. I fear that if wrongs hands shall be appointed to oversee the project, then our hopes for FOOD SECURITY shall never see the light of the day. I therefore call upon us to make sure we bring in good leadership; this calls for us to select a competent Manager of Resources (besides the GOVERNOR’s supervision) who shall in turn appoint experts not only to run the project but to also run other projects effectively and productively. The power project is also in the offing. I foresee in the near future most of the unemployed youth getting jobs here. I can see our County Economy growing at higher rate. But we must employ good political leadership. I do not want us to rise to power and then misuse everything that’s at our disposal; let’s make good use of funds, job opportunities, and resources that we have. 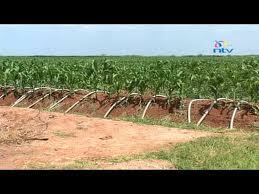 Tags: Irrigation Scheme, Todonyang. Bookmark the permalink. THE ENTICING SPECTACLE OF “DEMOCRACY”: A SOCRATIC CRITIQUE!!! The Quest for a Complete Citizen: Her Making!!! Dissecting “Being” in a Capitalist Democracy: Freireian lens!!! THE VIRTUES OF “SUSPENDING JUDGMENT” IN ACTION AND STEADFAST EXISTENTIAL INQUIRY! EPISTEMIC INJUSTICE, TESTIMONIAL EVIDENCE AND THE DUAL ASPECT OF RESPONSIBILITY OF AGENTIAL IDENTITIES– AN ANTI-REDUCTIONIST VIEW!!!!!!!! To Be or Not To Be [A Kenyan Terrorist], That’s My Conundrum! (AFRICAN?) GOD IS DEAD, OR IS IT NIETZSCHE WHO’S DEAD? Alcohol, Can Thou Be Our Good? Did Your Father Throw Away His Dowry? Baragoi Banditry Incident Takes New Twist – There Is More To It Than Meets An Outsider’s Eye!!! ANOTHER RE-UNION OF RAILA AND RUTO? Ethnicity and Nationalism: Are The Two Concepts Reconcilable in Our Kenya Today? Tullow offers Kenyans scholarships in Oil studies: Will Turkana Benefit? Immanuel Amojong Lokwei - Editor, Moderator! A mob is no less a mob because they are with you.